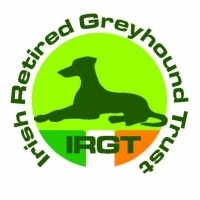 A large crowd filed into Limerick Greyhound Stadium on Saturday last and that special air of expectancy that only accompanies the major events of our sport was palpable in anticipation of the imminent Classic action. These high expectations were fully justified given the quality of performance we have become accustomed to in recent renewals of the Kerry Agri-Business Irish St Leger but one aspiring champion surpassed even the most optimistic of predictions when Robert Gleeson`s Droopys Nidge set a blistering new standard for the 550 yard trip by dominating heat 8 in a new track record time of 29.29! He was sent to traps an odds on 1/4 favourite for a first race outside Shelbourne Park but confidence was high ahead of his Limerick debut having clocked a sizzling 27.95 in his preparation trial over 525 yards. The prospect of a new track record was not immediately apparent in heat 8 however as Nidge could be seen pawing at the trap door while hare exited the final bend ahead of his moderate start from trap 6. He paced up well in the early exchanges and raced wide of early leader Tyrap Rush at the opening bends before hitting the front early in the back-straight. Having claimed the lead at this point, what followed was truly breathtaking as Nidge quickly extended his advantage and the manner in which he smoothly galloped the closing bends was a sight to behold. He crossed the line with twelve lengths to spare over Knocktoo Kingo with Stone Boy King recovering from early crowding to fill third, a further one length adrift before the winning time flashed up on the stadium clock and drew gasps from the stands. He reopposes Knocktoo Kingo in Heat 5 tonight in a race that appears to be at his mercy and a chance to lead on the outside brings with it the opportunity for fast time and the possibility of another track record is a real one. 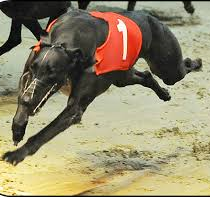 Greyhound racing`s latest superstar is best priced 5/4 for outright honours ahead our Round 2 action, not a come and back price and if you didn`t get on before Round 1, an investment now is not advised. This is after all a classic, with some of the most impressive trackers in Ireland and while the raw speed of Droopys Nidge may carry him to Leger glory, he will face some daunting opponents as the competition progresses, making a clear run on the outside more and more difficult…….you may yet end up backing him at 5/4 for a single heat, never mind a classic with 48 runners remaining! Though admittedly eclipsed by our new track record holder, there was many other potential headline grabbers on the night and by the conclusion of Heat 5, two trainers had registered a double on the card with Pat Buckley claiming his brace through Kippers Usain and Paradise Silva. The former found his trapping boots in Heat 2 and with smart early pace from trap 4, dominated throughout for a three length victory in 29.90 over De Real McCoy who will have pleased trainer Paul Hennessy greatly after a four month layoff. Paradise Silva completed the Buckley double in Heat 4 when also breaking smartly from trap 3 and was never seriously challenged when seven lengths in advance of Ten Feet Tall in a slick 29.62. The opening heat on the night went to Lemon Pumba who showed much the best early dash from trap 2 and stayed stoutly to the line despite Dysert McCoy`s attentions at the closing bends. He also posted 29.90 in a three length win, leaving a very good impression on his Limerick debut. Owner & trainer Adrian McPherson registered his Leger double when guiding Honour And Glory to a game success in Heat 5 despite a slow start from trap 3. He showed pace on the run to the opening bend and displaying clever track sense in his LMK debut, found racing room to claim second place at the top of the back-straight before overhauling early leader Macho El at the third bend. 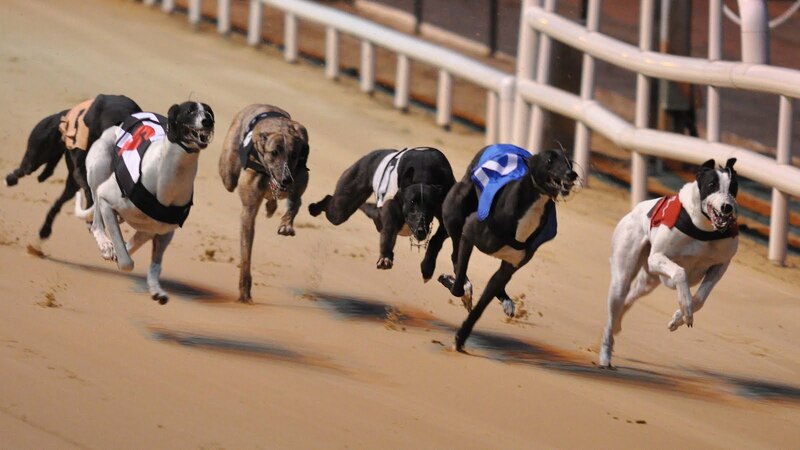 He clocked 30.21 in a one and a half length verdict over Macho El with Dromore Premier just a neck further back. Contrasting fortunes for runners with real classic pedigree was no more evident than in Heat 6 where Derby finalists Emers Superstar and Borneo came face to face once more and the impressive Limerick record of the Gerry Holian trained Emers Superstar proved the deciding factor as he put the race beyond doubt with an explosive burst of early pace to claim the inside pitch at the bend despite a tardy start from trap 4. He impressed all with his smooth gait throughout a nine length victory over Parish Hero. Borneo however made his exit from the competition when caught widest of all and suffering the consequences of first bend bumping, leaving him with too much ground to claw back. Liam Dowling will have been pleased with the opening effort of his Derby fourth Vulturi despite defeat in Heat 10 when again showing impressive back-straight pace on a circuit that suits his strong running style. The story of this heat though was the sparkling return to his favourite track by James Roche`s Ballyana Foxtrot. He produced a fast sectional from trap 5 and scorched to a seven length lead midway along the back-straight before ceding much of his advantage to the strong finish of Vulturi but a classy 29.62 puts the local charge firmly back in classic contention. There was contrasting performances also from our two 2013 finalists as Graham Hollands General Wolf again displayed his prowess at Limerick by leading at the first bend in Heat 3 with smart early pace after a good start from trap 1. He defeated a game Glideaway Con by one length in 29.91 with three lengths further back to Jackal Frampton in third. 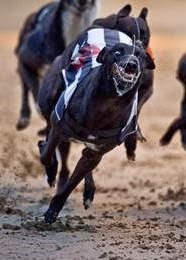 Last year`s fourth however, Skywalker Farloe looked far from his brilliant best in Heat 7, running wide off the second bend and the Easter Cup winners usual strong challenge from halfway failed to materialise when fourth to a impressive performance by Michael Kiely`s Shaneboy Frankie. He drew gradually clear following a level break from trap 3 and was never seriously threatened in a three and a half length defeat of Hawaii Kinsale with Burgess Rumble a close third. Regular patrons of Limerick were sent home happy following our concluding Heat 11 as two track favourites filled the forecast places with Tim Gilbourne`s Cloon Glory showing his local knowledge at the first bend for a rails run and a lead on the inside of Barefoot Apollo. He galloped to a one and a half length win in 29.97 over Paudie Ryan`s Hannabil Rising who again produced his now trademark power finish to claim second having been last into the back-straight. 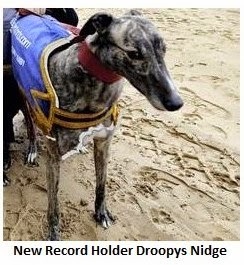 There can be no doubt that Droopys Nidge is the star attraction of Round 2 and the prospect of lowering his track record is a mouthwatering one. There is however much more for the racing palette to salivate over and Heat 3 will see a heavyweight clash between Metro Jack and Vulturi. Both can fly from the second bend and a clean run race could bring an epic back-straight shoot out between the pair while the presence of Shaneboy Frankie with his early pace adds spice to an already sizzling heat. Heat 7 brings two impressive round 1 winners together with Kippers Usain in trap 1, which may be crucial in the early battle for supremacy with General Wolf on his immediate outside while the early paced Macho El adds intrigue to that first bend rush as he can trap very smartly from trap 3. A possible return to top form for Elevenerife, now with his Limerick debut behind him, further complicates matters as he may get a clean run on the outer from trap 6. Pic: Kippers Usain can use the red jacket to good effect! These are just some of the possible headline makers in our eight second round heats but with the safety net of a fourth qualifying place now gone, expect to see the major outright contenders lay down markers throughout tonight`s action in the 2014 Kerry Agri-Business Irish St Leger. 16/1 Skywalker Farloe, General Wolf. 20/1 Kippers Usain. 25/1 Blenhiem Cracker, Metro Jack. 33/1 Jackal Frampton, Barefoot Apollo, De Real Mccoy, Shaneboy Frankie, Honour And Glory.